Win a festival pass for Scala Forever worth £75! Sadly I’m not old enough to remember when the Scala in King’s Cross was a cinema (it closed in 1993 after an illegal showing of A Clockwork Orange) but stories of latex-gloved lesbian all-nighters and endless John Waters marathons are more than enough to convince me that it was the Ultra Culture Cinema of its day. Next week sees the launch of the Scala Forever festival, running until the beginning of October at the Roxy Cinema in Borough and other venues across the city. Featuring dozens of one-off screenings as well as special guests, double bills and all-nighters, it bills itself as a ‘celebration of the current repertory film scene in London’. Highlights include a Danny Leigh-curated double bill of After Hours and Seconds, a Midnight Movies musical all-nighter and a screening of The Life and Death of Colonel Blimp introduced by everybody’s favourite alien life-form Tilda Swinton. 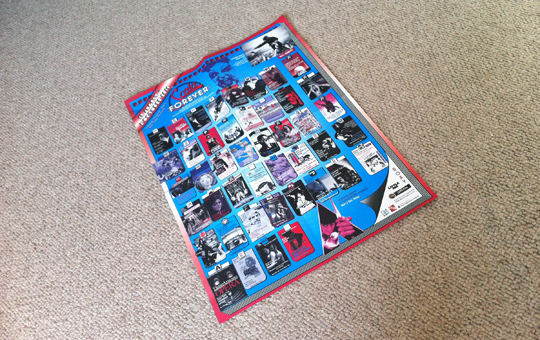 The full programme (rendered in the film-strip style of the original Scala posters) can be found here. I’ve got one pass to the festival’s Roxy-based events (THAT’S 21 BLOODY NIGHTS OF FILMIC GOODNESS) to give away, and to win it all you have to do is comment below with your idea for a great movie all-nighter. A list of four films will do. N.B. This is pretty much the best prize ever.